Florence, Arizona to/from Phoenix Sky Harbor International Airport (PHX). Great Flat Rates! More often than not, our town car flat rate fares to and from Florence and the Phoenix Airport (PHX) are less than taxis charge for the same service. So, why travel in a taxi when you can travel to the airport in style and comfort in any one of our luxury vehicles. >> VIEW OUR RATES. A Luxurious Vehicle Fleet. Whether you are a single executive, traveling couple or a large group, Roadrunner has the right vehicle for you. Depending on the amount of passengers, Roadrunner Limousine’s fleet includes town cars, limousines, SUV’s, passenger vans and even 30+ passenger coaches. All our vehicles are clean, comfortable, private late model luxury vehicles equipped with GPS Navigation systems. 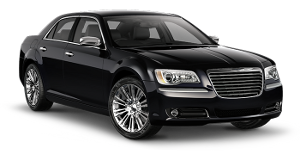 So, why take a bumpy taxi from Florence to PHX when a luxury vehicle is available at Roadrunner Limousine? Roadrunner Limousine, serving Florence and Phoenix, Arizona, provides exceptional service for its executive clients. Our executive guests expect reliable, convenient and comfortable transportation to or from Florence and the Phoenix Sky Harbor International Airport. As important as it is to provide our executive passenger with optimum service, working effectively with their executive assistants and travel coordinators makes everyone’s job easier. For them, we have a state-of-the-art online booking and account monitoring system accompanied by a highly trained staff to help develop and execute the most sophisticated travel plans that any busy executive or corporate group might need. First Time Coming to Florence, Arizona – Did You Know? Florence (O’odham: S-auppag) is a town in and the county seat of Pinal County, Arizona, United States. The population was 17,054 at the 2000 census; according to 2008 Census Bureau estimates, the population of the town had grown to 23,685. The oldest functioning Arizona State Prison complex, the Florence complex, is located in the town, and its preserved Main Street and open desert scenery was the setting of the major motion picture Murphy’s Romance. There are a total of 9 prisons from the county, state, federal and two private prisons. There are 3 state prisons located in Florence. Florence is home to the annual “Country Thunder” music festival. Florence is one of the oldest towns in the county, and is regarded as a National Historic District with over 25 buildings listed on the National Register of Historic Places. Florence was established in 1866 by Colonel Levi Ruggles, who moved to Arizona after the Civil War as an Indian Agent. He later served as a Territorial Legislator and helped establish Pinal as the state’s fifth county. Agriculture was the major economic base until Florence became the government seat of Pinal Couty Courthousethe newly formed Pinal County and silver was discovered at the Silver King Mine in 1875. Over the ensuing years, Florence played an important role as a regional administrative center. All federal land transactions for Southern Arizona were conducted in Florence until the Federal Land Office moved to Tucson in 1881. An early and prominent figure in Florence’s history was Charles D. Poston, known as the Father of Arizona. Poston encouraged Congress to create the Arizona Territory and was the territory’s first elected delegate to Congress. Another milestone in Florence’s history was the canal boom in the 1880s which enabled water from the Gila River to be diverted for irrigation. Over time, farming and ranching again played a major role in Florence’s economy. The Florence Junior Parada began in 1932 when local ranchers held the rodeo to raise money for the Children’s Milk Fund. Today, the Florence Junior Parada is the oldest sanctioned youth rodeo in the world.